What’s the most important part of your recording chain? Is it the microphone, or mic preamp? 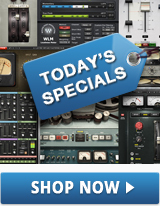 Your choice of DAW? How about your speakers, or the amplifier driving them? The correct answer is: none of the above. In fact, it’s the humble meter. Surprised? Well, consider this: Without accurate level measurements, you wouldn’t know how to set input trims, which could result in noise (or, worse yet, distortion) in your signal. You wouldn’t know when your system was at the onset of clipping. You wouldn’t know how effective your gain reduction plugins are on the signals they’re trying to rein in. And you wouldn’t be able to deliver a properly constructed mix for mastering. In this article, we’ll unravel the mysteries of audio metering and discuss how best to use it. VU meters: Originally, these were passive electromechanical devices incorporating a moving needle that reflected the audio energy. Later renditions also included a Peak LED that lights when a predetermined transient level is detected. 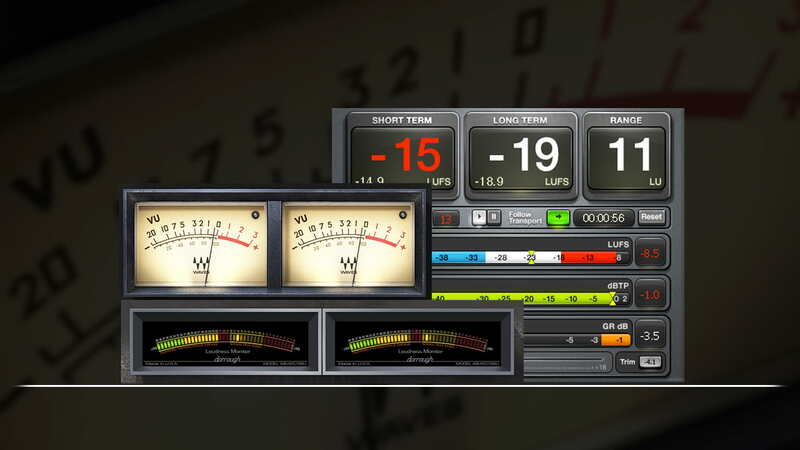 Today, of course, modern plugins such as the new Waves VU Meter are able to emulate those kinds of meters digitally. The great thing about VU meters is that they have a relatively slow response. That may sound a bit odd, until you realize that human hearing behaves pretty much the same way. In other words, a VU meter provides a pretty realistic expression of the way you hear the changes in level that are occurring as the music plays. However, because VU meters only show relative level, they have to be calibrated at a known reference level for the system. When using a VU meter (or VU meter plugin) with a DAW, the recommended reference is -18 dBFS (short for “decibels Full Scale”). For more information, see our article on gain staging. PPM (Peak Program Meter): A slightly more advanced version of the VU meter, PPMs are better at showing instantaneous transient activity – but since they have no reference level, they are unable to provide accurate loudness monitoring. In addition, in contrast to VU meters, which have fairly equal attack and release times, PPM meters have a very slow release time, in some cases taking over 1.5 seconds to fall back 20dB! For that reason, they fail to display transients that occur during that “fall-back” time – and they’re also pretty poor at showing changes in continuous signal level. A PPM display typically consists of a number of “bar graph” lights or LED segments, though sometimes a moving needle (similar to that used on VU meters) is employed. The Dorrough Loudness Meter, developed by engineer Mike Dorrough in the 1980s, displays both average and peak levels in a single readout with an extremely fast response time (“ballistic”) that reflects incoming transients accurately and provides a reliable reading of audio power over time. Dorrough meters are particularly useful in mastering, when you need to establish equal perceived loudness across an entire program, plus they’re good at showing you any phase problems that may occur when a stereo source is combined to mono. The Waves Dorrough plugin provides a digital emulation of this type of meter, with configurations for mono, stereo, or surround. The LUFS scale is used extensively in the broadcast television industry, where government standards mandate consistent volumes between channels as well as when a channel goes from program material to commercials. It’s also used in video games and online delivery systems. Some game companies specify that the mix for a music track has to fall within a defined LUFS levels so they can better predict how it will balance with the other game sounds. Another important concept in modern loudness metering is the timescale of the measurement. The laws of psychoacoustics state that we perceive loudness from the average, rather than the momentary peaks in a sound – in other words, a very short transient burst (even at a high level) won’t affect our perception of loudness very much, but a similar one lasting half a second or more will have great impact, to the point where it can actually cause discomfort. Momentary measures 400 ms of signal, sufficient for the shortest loudness timescale. Because this measurement is quite fast, it is usually displayed as a bar meter with smoothed release ballistics. Short Term averages loudness over a period of 1 to several seconds, with some overlap between the time slices. Long Term (sometimes called Integrated Loudness) averages the entire program, very often providing the most useful value. True Peak provides sub-sample accuracy for measuring intersample peaks—those that occur between two consecutive samples and so cannot be detected by traditional meters. This is critical because when program material is later loudness-normalized (something that digital broadcast systems and online delivery services do as a matter of course), there is, in theory no chance of digital clipping or distortion, even after conversion to the kinds of lossy formats used by those systems. 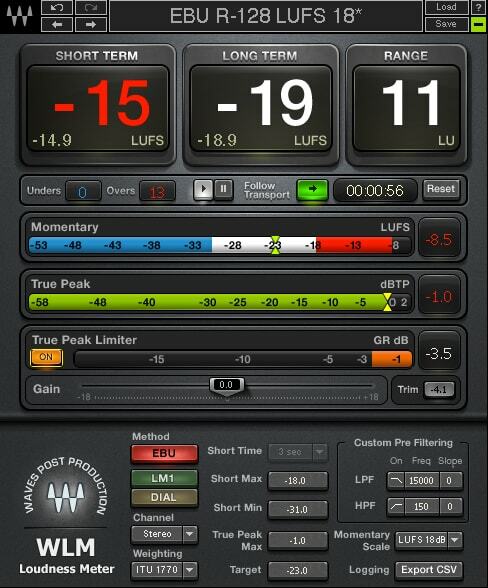 The Waves WLM Plus Loudness Meter plugin displays all four of these timescales simultaneously, as well the overall loudness range. It also offers a number of advanced features, including an integrated True Peak Limiter and Gain and Trim controls for loudness normalization and correction, with readouts for most common weighting types. In addition, it issues warnings when loudness targets are not met or are exceeded and registers when Overs or Unders (individual samples that cause digital clipping) occur. The best approach is to find the meter type (or combination of meter types) that works best for your application and the music you’re recording, mixing or mastering. For example, if you’re mostly just recording demos in a home studio, a simple but correctly calibrated VU Meter may be all you need to avoid overload and ensure that you are leaving yourself sufficient headroom. If you need more precision – for example, if you’re doing mastering or working on commercial releases – the Dorrough plugin is a good choice. For the ultimate in clip avoidance and accurate measurement of overall loudness, the WLM provides all the metering tools you’ll ever need, in even the most demanding mixing, mastering and broadcast sessions. Bear in mind that there’s no reason to limit yourself to just one meter type. Give yourself the best of several worlds! After all, it’s quite possible for a signal to look one way on one type of meter but quite different on another. Transient percussive sounds like tambourine, for example, usually cause only marginal movements on a slow-reacting VU meter, while a solo voice can sound relatively quiet even if a PPM meter is jumping around. Once you’ve identified the meter type(s) you want to use, insert them not only at the end of your signal chain but wherever you feel you’ll need them (for example, it can be helpful to have meters both before and after dynamics processor plugins such as compressors or limiters). And most importantly, check your meters frequently as you record, mix, and master. That’s the key to maintaining correct gain staging and avoiding nasty audio surprises. For maintaining proper levels during mastering, see our essential tips for mastering levels.